All love crochet dress, leaves the baby more delicate and feminine. I think it is very beautiful and delicate, who does not like a dress does not it ?. 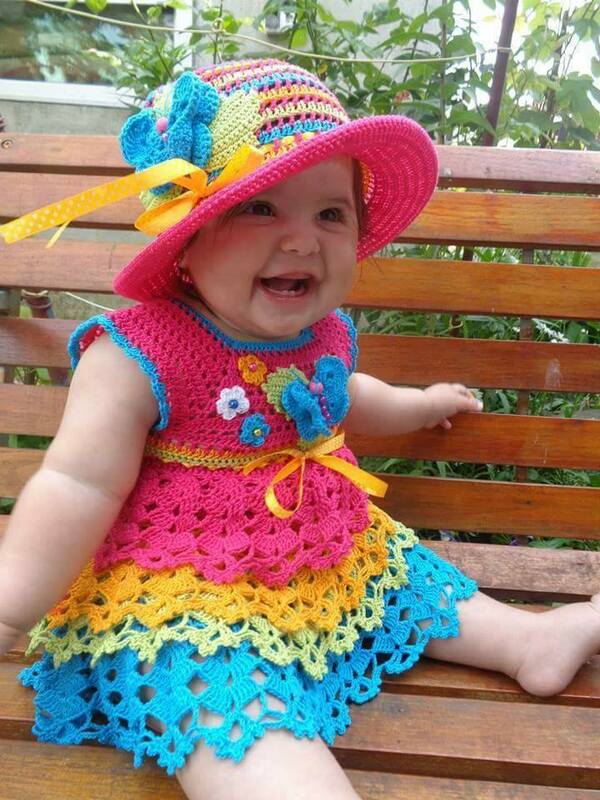 Other people have asked for crochet baby dresses and here it is, here is an example model for all of you to practice and do wonders with your hands, this pattern will leave you more in love with this world of crochet and for these dresses that is a grace.A piece like this is great to have in your store, because they always enchant those who seek. Being able to give as a present, imagine giving yourself a present made with your own hands, it is very rewarding for us. So make sure that the end is amazing. The practice takes more and more to perfection, I will always look for patterns of dress for you to innovate and to have more patterns of dresses of babies to train. So get your stuff and come and venture with me, let's get to work. 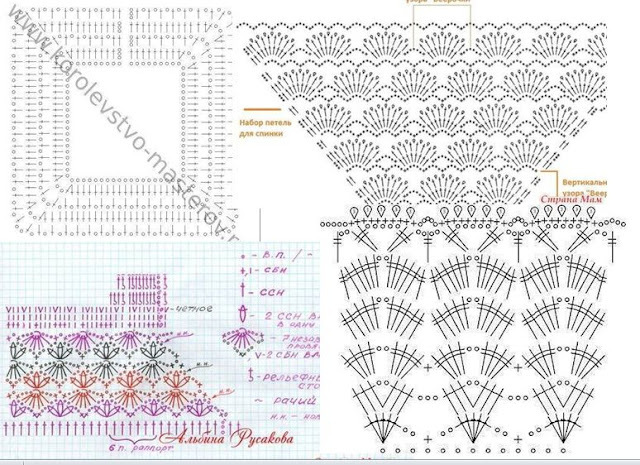 We always take advantage of links and websites that contain free pattern, videos tutorials with step by step, PDF and graphics to ready to be printed in addition, there are paid and free. 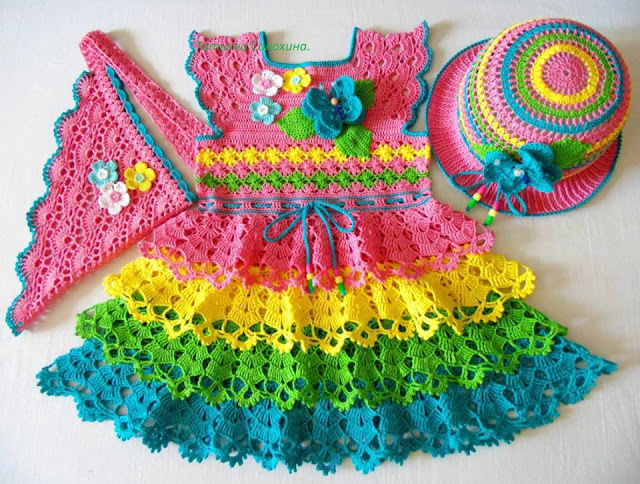 The pattern you brought today for you is a girls' dress patter, baby crochet dress, thus making your princess even more beautiful in this dress, and the best that will be done by yourself. You can make the color you want and prefer, can make whole one color or put two colors; the dress of a color and the bar and details of another color, can put some laces, ornaments and even ribbons. Use your imagination and do your best and with love. Good work for you, use the chart below and I hope you like it as I do. It is so good and rewarding when we do something with our hands and see the result, and it is certainly better to do it alone, because you can put the color you want and the ornament you want. With all the inspirations we find, we can create various styles of crochet dresses for girls or even increase our variety of products to sell. With all variations of dress patterns, you can earn good money by selling and increasing income by working from home with something you enjoy doing, very good is not it. Making crocheted knit pieces is delicate, unique and yet with children's pieces it gets more delicate your work. And they are also small pieces of it to make faster compared to adult pieces or quilts, so you can make more pieces. Crochet is always useful and never goes out of style, being able to make your own pieces or make a gift for someone to be an exclusive gift of crafts. A crochet dress makes the baby more delicate, fluffy and adorable, impossible to please. Among the many patterns that exist of crochet dress, I leave one for you to practice and do wonders of handmade dresses. Taking advantage of that is small, easier, fun and with gorgeous result even more in the spring for being colorful and cheerful. Below I link the tutorial of this dress, enjoy and good work. Enjoy the Xell Crafts crochet page.